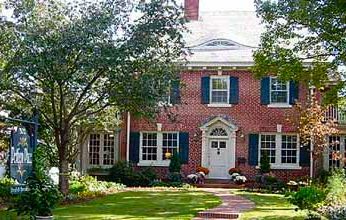 Pettigru Place Bed and Breakfast of Greenville, South Carolina. Voted Greenville's Favorite; voted the Upstate's Best; voted Favorite Weekend Getaway; Pettigru Place B & B is in a National Registered Historic Home, located in Greenville's fabulous Downtown Historic District. We are just a short stroll from over 50 fabulous restaurants, and six live performance theaters and concert venues. During the Spring, Summer and Autumn you can walk to free outdoor concerts four nights per week. Our warm and friendly hospitality, luxurious rooms, and gourmet breakfasts will pamper you and help to take you away from your everyday chores and cares. Complimentary wine and cheese are served daily in your room or outdoors in one of our lovely and tranquil garden areas. We are very near and convenient for Furman, Clemson and Bob Jones Universities; six fabulous state parks with wilderness areas; the Palmetto Expo Center; the Peace Center and the BiLo Center. This and other South Carolina Bed and Breakfast Inns can be found here online in The Register.